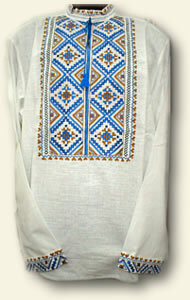 Among multi-color Ukrainian embroideries Poltava embroidery take a special place. 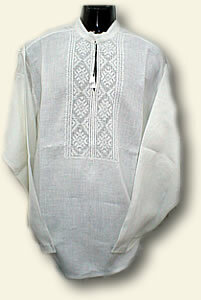 Man's shirts - “chumachki” and “ukrainki”. 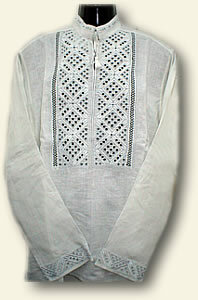 The frame is executed by machine embroidery. Technics: pricking out, cutting out, hem-stitche, a slanting smooth surface, dagger and a lot of others. 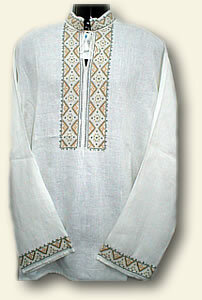 Man's shirts with a manual embroidery. Ornament lies on a cloth by the account of strings of a cloth. The main art effect - not in riches of colors and their combination, but in the refined parity, softness of shades of pastel tones. Colors: unique: white on white – like hoar-frost, blue, ochre, brown, greenish; shades grey, white, bright ornamental for a stage - the most widespread on Poltava area. 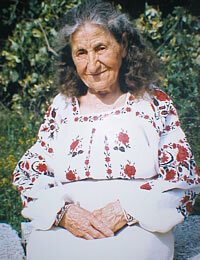 O.Velikodna. Man's shirt. 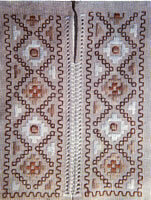 Fragment of embroidery.